The National Archives is collaborating with the National Trust to recreate the life of a Suffragette activist in the years before the partial grant of the vote to women in 1918. ‘Suffragette City’ offers a unique experience to step back in time based on original photographs, police reports and witness statements held at The National Archives. The project documents the life and arrest of Lillian Ball, a dressmaker and mother from Tooting, arrested for smashing a window in 1912. 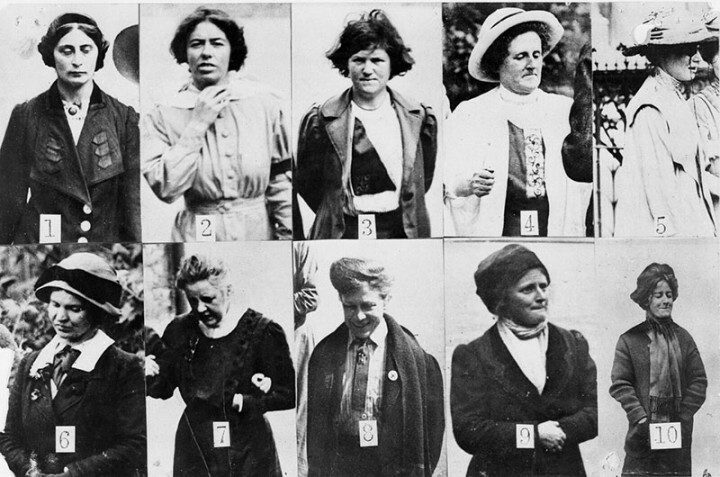 Using the extensive collections of The National Archives, which include Home Office, Metropolitan Police and Cabinet Office papers, as well as pamphlets and letters seized in raids on the Women’s Social and Political Union (WSPU) headquarters, Suffragette City will recreate a number of key places important to the story of the movement, including the WSPU’s Headquarters, a tea room and a police cell. The set was created by the creative producers, O’Neill/Ross, who specialise in producing, curating and designing site-sensitive experiences. Come along to read a replica Suffragette newspaper over a cup of Edwardian milk punch, learn jujitsu, join a Suffragette sing-a-long or travel further down the rabbit hole to experience life as a Suffragette. Audience members can go on their first Suffragette mission, with actors leading the way, where they will make a series of choices about how committed they are to the fight for equality. Suffragette City runs at the London Pavilion, Piccadilly Circus, from 8 to 25 March.